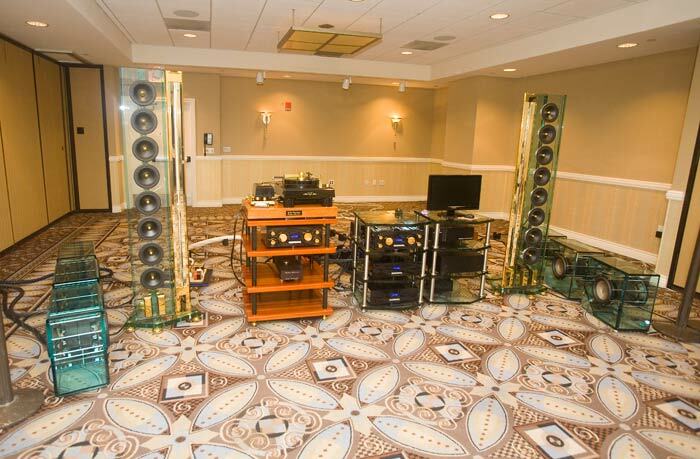 While my take might be somewhat different from yours vis-a-vis the best sound at CES, I was also much taken with the sound of the Acapella Atlas speakers driven by the Einstein electronics; however, this was only true when the source was the fabulous Technodas TT. Digital was clearly not in the same league in this room. The “Tin Pan Alley” cut was certainly nice. Congratulations on being designated as the US repair center for Acapella and on again becoming a dealer for this phenomenal speaker. Right… although I never said what was best of show, and in some large sense it doesn’t make a heckuva lot of sense to choose a BOS without reference to price / performance [in which case one of the numerous nice-sounding smaller systems at THE Show is really BOS]. We still have about 15 more rooms to write about here that we found to be interesting. Agree that the real story here is about the TechDAS turntable yes, but also, I think, to a even larger extent it was about the Einstein amp and preamp. 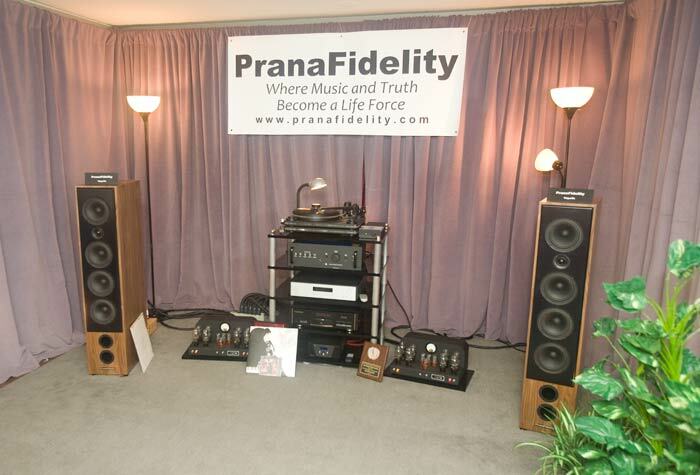 This is more clear if one, say, compares this to the Perfect8 system, with its own stellar turntable. This is apparent when one assumes that the Acapella Atlas is in some fuzzy sense a direct competitor to the Perfect8 speakers, the TechDAS a direct competitor to the Walker turntable, and so it was really a comparison between the VAC electronics and the Einstein and the Einstein did not disappoint [though to be fair, the Perfect8 was in a MUCH larger room, always difficult to fill with music and a strain on the amps]. Not saying that the Einstein electronics are the end all and be all, [and are in fact more like good value-priced offerings in a market of often very expensive competing products some of whom perform and some of which do not], it is just that they stepped up to the plate here and the system itself performed quite well. The other room with the TechDAS TT, Lamm on Verity Lohengrin speakers, was too familiar [albeit with different cables and rackage, not to mention digital and TT] for me to settle down my poor brain and get a fix on, personally, although Neli might help me out here. Definitely a very nice and competent sound and one of the most interesting rooms this show. Similarly, it is instructive to compare the Acapella / Einstein system to other rooms with speakers that are in some fuzzy sense competitors of the Acapella Atlas speakers but which had inferior, often screechy, and in the end, what would for me would be, unlistenable front-ends. 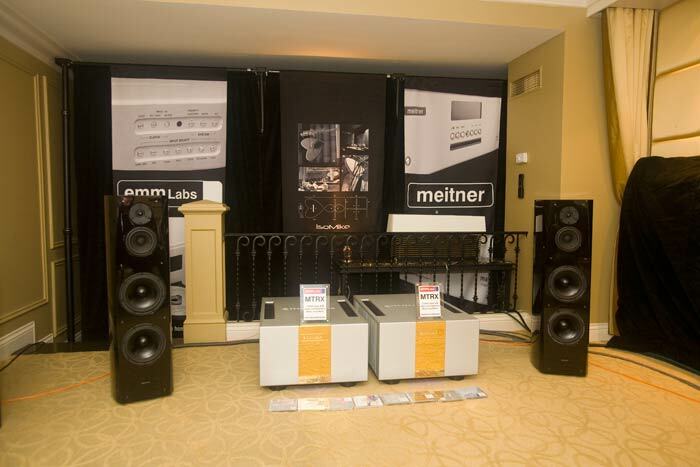 For just one example take the room with MSB electronics on the SoundLab speakers on the 4th floor at THE Show this year. Not a great match IMHO, although Neli and I both agree much, MUCH better than the Parasound they showed with a few years ago. 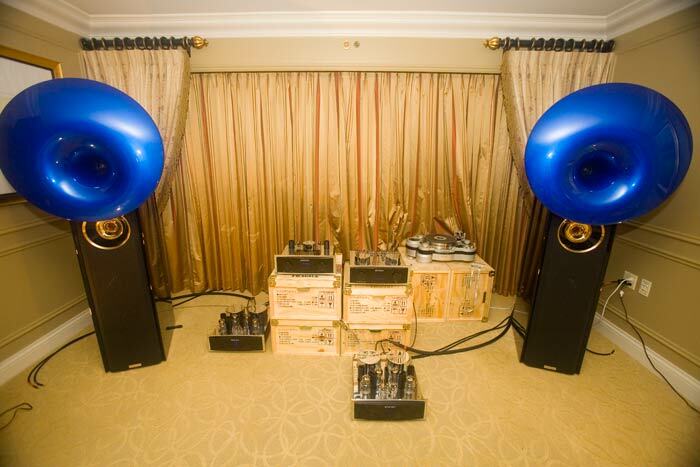 Compare this to the WAVAC on the SoundLabs this year, which was amazing. All these people who focus on a single component in a system – this is just nuts [nuts!]. 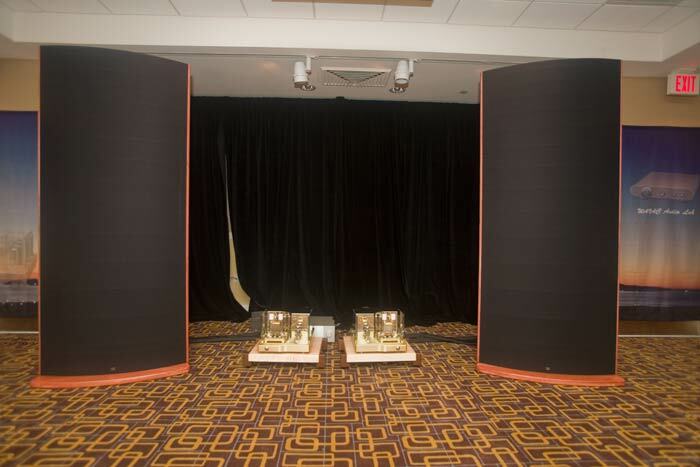 The room reviews here on the blog are written to get people to think about what makes a good sounding system. 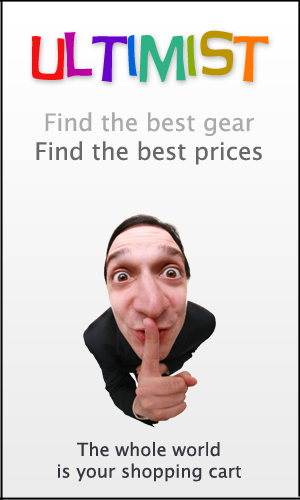 And not to pump up a particular brand. This is a SYSTEM(!) people. Your point re: Best of Show is well taken as is your choice of “Most Interesting” I think that it goes without saying that had the other components in the Einstein room not been performing at such a high level, the performance of the Technodas would not have stood out. 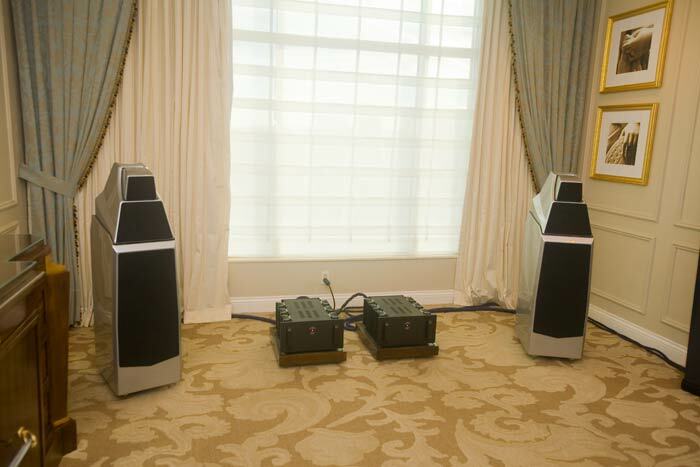 Having said all that, I still believe that the Technodas is a breakthrough product and that he Atlas speakers were doing some very nice things. Are the *****’es currently set up at your place and if so, what are you driving them with and to what result? I see your EMM Labs XDS1, Kegons, the M9/ S9 with Odin and Jorma cabling. Yeah, The TechDAS Air Force One has been quite good the last couple of shows now. We snarfed a brochure which we are pouring over. [well, I have to admit, neli has finished it and I am a just-read-the-last-page slacker and still pondering… just what do I want from a table, anyway?] The brochure is quite detailed and informative. There is a lot to this table and there are a number of options that have an unknown [to us] impact on the sound. Hmmmm…. Yes. Yes. But you have to remember… our driveway. Then… the stairs, Fred. The stairs!! !